The most popular choice for weddings is usually beach settings along the Australian coast. This is probably your choice as well, though you may have trouble finding the perfect venue. 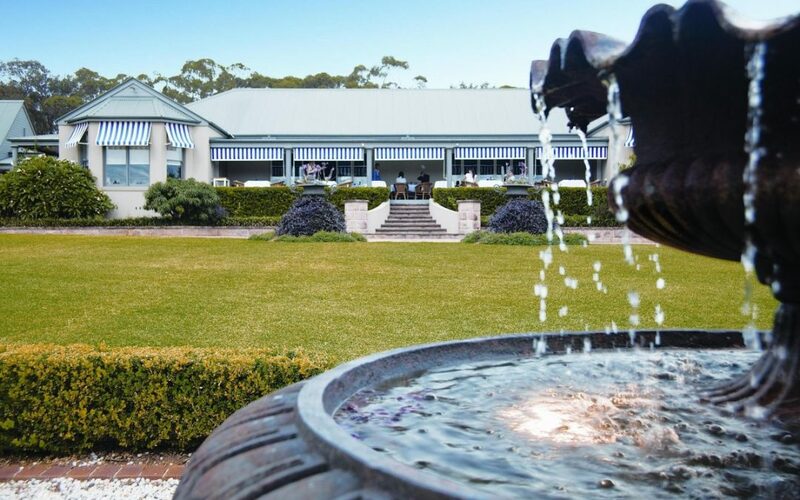 If you’re looking for something more secluded, you may want to look at your central coast wedding at Bells at Killcare. For central coast weddings, Bells at Killcare is a place that mimics the type of luxurious surroundings you’d find in the Hamptons of New York. Any of you who’ve visited America and seen the Hamptons know how distinctive it is in atmosphere, colors, and amenities. Bells at Killcare successfully brings those elements through their boutique accommodations for adults only. With up to 25 coastal suites and cottages available, you can surround yourself with well-kept nature. At the same time, you have venues to bring in the wedding entertainment you really want. One of the highlights at Bells at Killcare is the hotel itself, which makes up a manor house and three cottages. Recently renovated to better match the natural beauty of the area, it’s now considered the most recognisable and distinctive of any place to stay in the entire Aussie mainland. Now open 10 years, the amenities continue to evolve and provide continually improve to make it the top-tier for weddings and other events. When you book your wedding here, you’ll have a perfect environment either outdoors or inside for the ultimate party. In either place, the wedding band or wedding singers you hire can fit into the atmosphere playing the perfect songs for weddings. If you’re looking to do a garden wedding ceremony, it’s not easy to find natural gardens as beautiful as Bells in a coastal retreat. You’re nestled far enough away from the beach for complete privacy. What’s especially great is they give you a wedding kit to help you plan how to make the most of using the grounds. Outdoor space is tremendous, and enough to bring an entire wedding band in. Thanks to hi-tech technology, including a reliable power outlet, you can hold all festivities outdoors. The staff also provide all the folding chairs you need, a signing table, and even lawn games. The band you hire can make for excellent background music while your guests play games or take photos around the gardens. Live music is something we can accommodate at Lily Road. Using the outdoor grounds can sometimes be a risk if the weather turns bad. If you prefer being indoors to avoid any sudden downpours, the Conservatory at Bells is exquisite. They’ve left the interior as a neutral design so you can decorate the surroundings with your own sense of style. A main feature is the natural light emanating from the white sash timber windows. The views are just as spectacular and overlook the gardens and nearby swimming pool. For entertaining, it’s ideal, because it goes beyond just the interior. It has a spacious deck, as well as an entrance on the other end of the building extending into a private garden area. Even though you’re responsible for beverage costs, flowers, or decorations, they give you freedom to add whatever you want for your wedding theme. They let you bring in your entertainment, which leaves it open to a lot of possibilities. Lily Road Band can provide a unique musical experience in tune with the message you want to send about your marriage. Whether it’s old romantic songs, or an offbeat musical genre, our band and wedding singers can cover it. You and your spouse may want to stay over at Bells at Killcare for your honeymoon. Staying in the cottages is worth the extra expense. The same goes with the day spa, designed with Hamptons elegance. They maintain the Hamptons theme with the seaside cottages, including using the same color scheme. Visit us at Lily Road so we can cater your wedding entertainment at Bells. We’ll be proud to play for your wedding, whether it’s outdoors or in intimate quarters inside.